Micromax releases Canvas Juice 3 and 3+ with 4,000mAh battery! 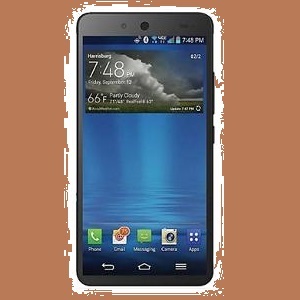 Micromax has been one of the brightest shining stars in the Indian ecosystems. The company has been doing exceptionally well in a highly competitive market and has been performing in a positive trend. The company today holds over 16% of the markets of smartphones in India, and accounts for the second largest market share in the nation, following Samsung at #1 with 24% markets. Micromax, which was an unknown name in most of the country some 6 years ago, has managed to turn things around after the Android wave struck India. The company has been coming out with low cost solutions to several phones, and they have been releasing phones at such a rapid frequency that it has become hard for people to catch up to the speed with which they are releasing devices. Both the Canvas Juice 3 and Canvas Juice 3+ smartphones feature almost identical innards. The Android 5.1 Lollipop-based Canvas Juice 3 features a 5-inch HD (720×1280 pixels) display while the Android 5.0 Lollipop-based Canvas Juice 3+ comes with a larger 5.5-inch screen with similar resolution. Both the handsets feature Corning Gorilla Glass 3 for protection from scratches on screen. The Canvas Juice 3+ comes with a 5-megapixel front-facing camera while the Canvas Juice 3 packs just a 2-megapixel front camera. The Canvas Juice 3+ also comes with 16GB of built-in storage, while the Canvas Juice 3 comes with 8GB of inbuilt storage. Much like other Canvas Juice-series smartphones, the Canvas Juice 3 and Canvas Juice 3+ pack a large battery – 4000mAh in this case. The smartphone is powered by a 1.3GHz quad-core processor coupled with 2GB of RAM. Both the smartphones sport an 8-megapixel rear autofocus camera with LED flash. Both support expandable storage via microSD card (up to 32GB). On the connectivity front, the Micromax Canvas Juice 3 and Juice 3+ include 3G, Wi-Fi, GPRS/ EDGE, GPS/ A-GPS, Micro-USB, and Bluetooth options. Unfortunately, the Canvas Juice 3 and Canvas Juice 3+ don’t support 4G, one of the biggest let-downs for both the smartphones at this price point. Both feature sensors such as accelerometer, magnetometer, ambient light sensor, and proximity sensor. The Canvas Juice 3 is said to offer a talk time of up to 14 hours and up to 514 hours of standby time. Meanwhile, the Canvas Juice 3+ is said to offer a talk time of up to 12 hours in 2G, up to 8 hours in 3G and up to 500 hours of standby time. 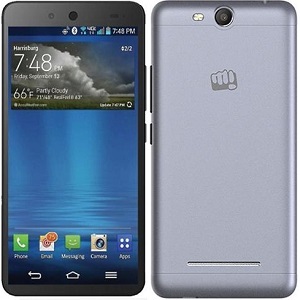 Micromax releases Canvas Juice 3 at Rs. 8769 with a 4,000mAh battery! As we have time and again discussed, the modern day markets are too feature specific, and when it comes to slimming down the phones, a large number of players in the markets have jeopardized with the battery performance to slim down the phones. There was an era where ‘slim phones’ had suddenly become a ‘thing’, and every company shifted towards thinness. However, it must be noted that it was a trend started off by Apple, for whom the battery has never been a concern, as Apple users are used to a low lasting battery life. However, when it comes to the ordinary user, who does not shell out hundreds of dollars for ‘looks’, battery life has been a critical factor, and several companies have been messing around with the battery life. Micromax has been, off late, one of the first few brands to bring back better batteries! The company has recently released the Canvas Juice 3 – which has been one of the best phones when battery life is concerned, as the phone comes packed in with a 4,000 mAh battery! The Canvas Juice 3 smartphone is a dual-SIM (GSM+GSM) device which runs Android 5.0 Lollipop out-of-the-box. 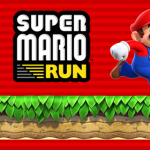 It comes with a 5-inch (720×1280 pixels) HD IPS display sporting Corning Gorilla Glass 3. An e-commerce website, Indiatimes, claims that the handset features a 5.5-inch display; though the retail box claims it just a 5-inch screen. The smartphone is powered by a 1.3GHz MediaTek (6580) processor coupled with 2GB of RAM. It comes with 8GB of inbuilt storage, which is further expandable via microSD card (up to 32GB). It sports an 8-megapixel rear autofocus camera with LED flash, while there is a secondary 2-megapixel front-facing camera. On the connectivity front, the Micromax Canvas Juice 3 includes 3G, Wi-Fi, GPRS/ EDGE, GPS/ A-GPS, Micro-USB, and Bluetooth options. It features sensors such as accelerometer, magnetometer, ambient light sensor, and proximity sensor. The Canvas Juice 3 is said to offer a talk time of up to 14 hours and up to 514 hours of standby time. With such a massive battery, one can’t but help and be impressed. The ‘Juice’ series of phones from the Micromax canvas devices have typically always offered a good battery life. What are your opinions on the same – could we ever get a ‘perfect’ smartphone at a low budget price? Or will we always have to compromise at something. If yes, what is it that you are willing to compromise at? Off late a large number of companies have been coming out with their own version of Android skinned over the android devices. 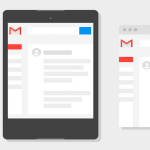 This gives them more customization power and also a unique offering to give to the users. This strategy has been played to perfection by Xiaomi’s MIUI and OnePlus’ Oxygen OS. The latest to join the list of names who have been trying to introduce changes in the OS is that of Micromax. According to news reports from The Economic Times, Micromax is planning to develop its own OS along with a suite of services and apps that will work across phones, TVs, tablets, and wearables. It is being reportedly said that a 75 member team has been set up at Bangalore in India and they have been working on this already. 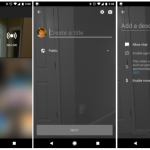 Being led by former Amazon executive Ashish Agrawal, the OS will be a forked Android – a platform developed on Google’s open source mobile OS. The first smartphones with the new OS will be available by the end of this financial year and they will be affordably priced. We’ve already seen some of the forked Android versions powering Microsoft’s Nokia X series, Xiaomi’s smartphones and tablets, Amazon’s Fire smartphone and Kindle Fire tablets among others. It will be interesting to see what Micromax does to its OS in order to differentiate itself from the crowd. Agarwal was also quoted saying Our (Indian) use cases are much different from a US or Chinese customer. As hardware is becoming a commodity, Micromax wants to start investing in software to differentiate itself. 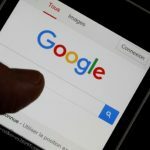 However, the company did not want to alienate its set of consumers and developers, majority of who are on Android, by building an operating system from the ground up. Micromax today stands at #2 position in the markets as it holds a little over 16% of the market share, and is inching towards Samsung, which currently dominates the Indian markets with a 24% market share. The company is expected to grow rapidly in the next quarters to come, as Samsung has been showing a decline since 5 consecutive quarters in terms of profits. Micromax and various other local names are expected to perform better in the months to follow. Samsung and Micromax have been two names which have been at a war with each other for the numerouno spot in the Indian markets for quite a long while. 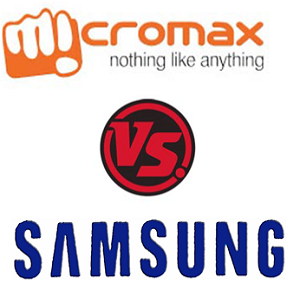 Micromax has never been able to dethrone Samsung as such, but has got tantalizingly close in the past. 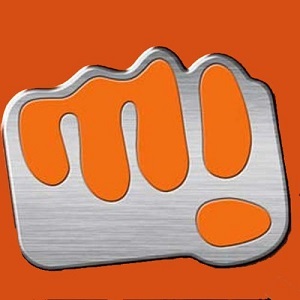 The Indian brand of Micromax was a company which wasn’t even a brand that had an awareness around it up until a few years ago, but the android revolution put it up on top. The company got popular because of the fact that they created numerous low cost mobile phones that offered the users a large number of features. The value for money equation has been the one which has been driving the indian markets so well for so long, and the company has clung on to that tightly. 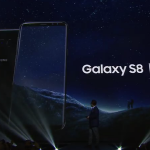 Samsung has been another name which came out big after the android revolution and has been constantly releasing various devices at various price points, and with various specs. While they feature on each and every aspect, that is, design, features and price, most phones don’t have one element to compensate the rest. Samsung has truly become a giant in manufacturing off late. The latest figures in the Indian markets (source: The Times of India) indicate that Samsung continues to lead the Indian smartphone market in the quarter ended June with 24.5% share on the back of flagship S6 and S6 edge launches but lost a little market share to No.2 Micromax which increased its share to 16.7%, according to Hong Kong-based Counterpoint Research. Intex, Lenovo (including Motorola) and Lava grabbed the No. 3, 4 and 5 positions respectively, in the second quarter during which 25 million units were shipped, 34% up on-year and 25 % up sequentially. 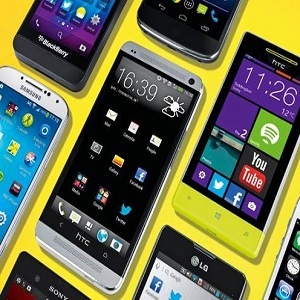 “The smartphone market regained its sequential growth mainly due to aggressive discounting and offers by the brands, retailers and e-commerce firms to clear out inventory accumulated from previous quarters,” Tarun Pathak, Senior Analyst at Counterpoint Research said. The agency tracks handset market shares based on shipments into India. Intex has captured third spot with 9.9% , Lenovo including Motorola got 7.5% share and Lava ended flat with 5.3% share of the smartphone market. Xiaomi smartphone shipments increased sequentially during the quarter as the Chinese company became the third largest 4G smartphone vendor during the quarter, thanks to brisk sales of Redmi 2 4G and Mi Note 4G. The Indian subcontinent, off late has become the major breeding ground for big names to come out and announce their phones. Names such as Microsoft and Apple have been specifically geo-targeting the Indian markets to expand their sales, however the markets of India have reacted in a peculiar manner. Instead of going for these worldwide brands, the local brands have actually been the game-changers in the Indian ecosystem. The local brands, along with other value for money new entrants in the markets have managed to turn it around. The value for money concept has been the biggest thing in the Indian economy as the people tend to prefer products which offer them higher features for the value that they pay instead of giving them the brand name. The markets in India have been highly cost-sensitive and that is the way how Micromax gained lead in the markets. Lava, InFocus, Motorola, Micromax and OnePlus will all be releasing phones this week, all of them playing around the cost and value for money equation. Lava has been in a partnership with Google and will be releasing an Android One smartphone in India. This is going to be Lava’s first Android One smartphone and is expected to be priced at around Rs. 12000, nearly double the price of what the earlier Android One phones have been priced at. According to reports from the Economic Times, the phone will come with a 5inched screen and 2GB RAM. InFocus, in association with Foxconn will be launching their new ‘made in India’ devices. InFocus will soon be seen producing products other than smartphones in India. Foxconn has been producing InFocus phones from Andhra Pradesh. Motorola is going to announce the Moto X and Moto G (third generations) and they are doing this in a global event in various countries, one of which is India. Motorola’s senior management is expected to be present in India. This is expected to be one of the biggest events of Motorola. OnePlusis going to announce the OnePlus 2 on the 28th of July, and the phone is expected to be priced around Rs. 29,000. The event will happen in Virtual Reality where it would appear that the viewer is standing right next to the actual event in China! Micromaxis all set to release a smartphone in association with Flipkart on the 27th. It is expected to release a ‘flagship’ sort of a phone which will be priced at a higher price point than most of their phones.